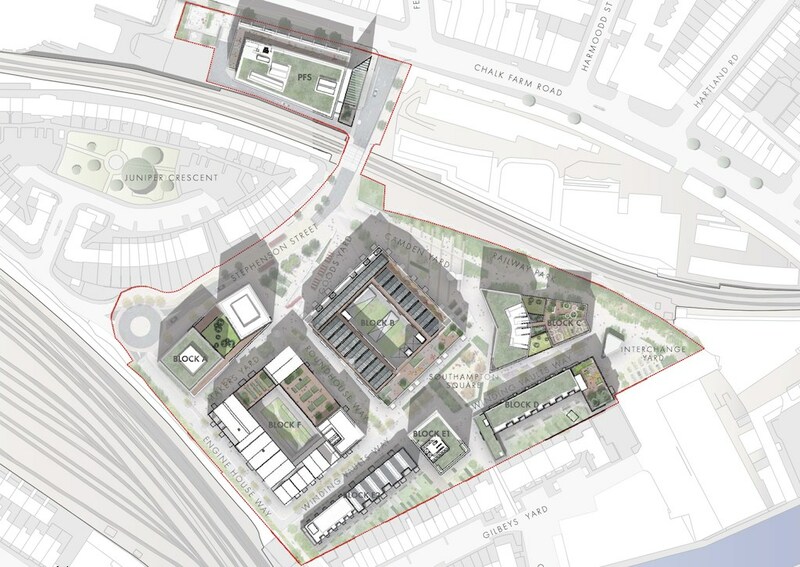 Masterplans have been approved for a near 600-home mixed-use scheme next to London’s famous Camden Market on Chalk Farm Road. 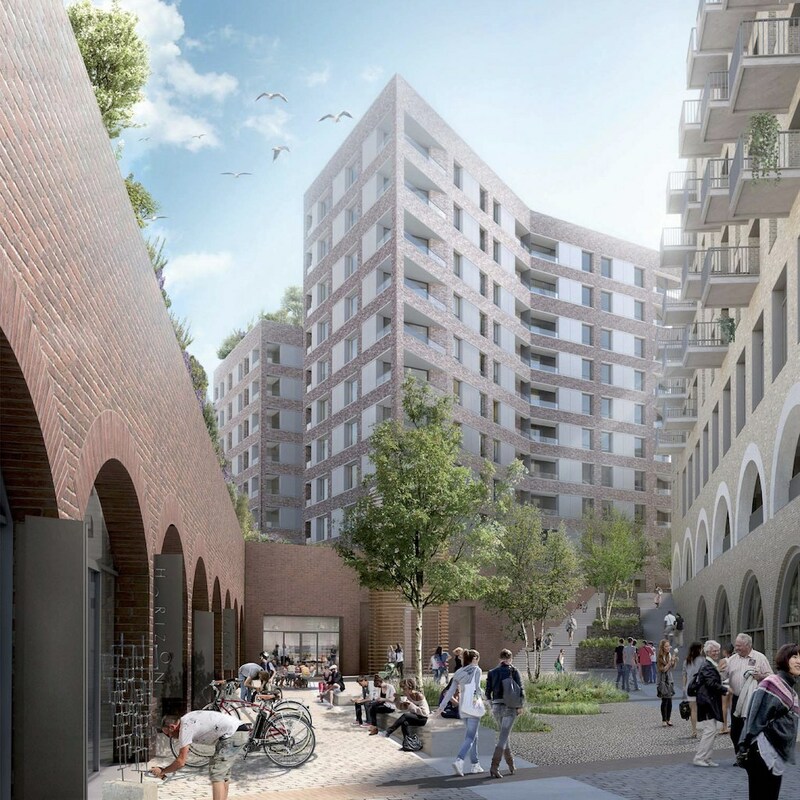 The scheme is being brought forward by Barratt London in joint venture with land owner Morrisons supermarket and will see the homes delivered across eight buildings alongside 300,000 sq ft of shopping space and a small amount of office space for business start-ups. Allies and Morrison is the overall masterplan architect and designer of five of the eight blocks, with the remaining three blocks by Piercy & Company and Niall McLaughlin Architects. The existing Morrisons supermarket and petrol filling station on the site will be demolished and replaced as part of the 3.3ha redevelopment plan. The whole of the supermarket site will be heated by a communal heating system, with the main gas-fired heating plant located in a dedicated Energy Centre located in the undercroft of Block A.